1. Since I love scrapbooking and cardmaking, I already had a bunch of scrap paper, cardstock, ribbons, and stickers. So I just used my crafting tools to make this project.You can buy all these materials from your local craft store. 2. Select the cardstock/ scraps and ribbons ones you want (keeping your color theme in your mind) 3. Get Creative! 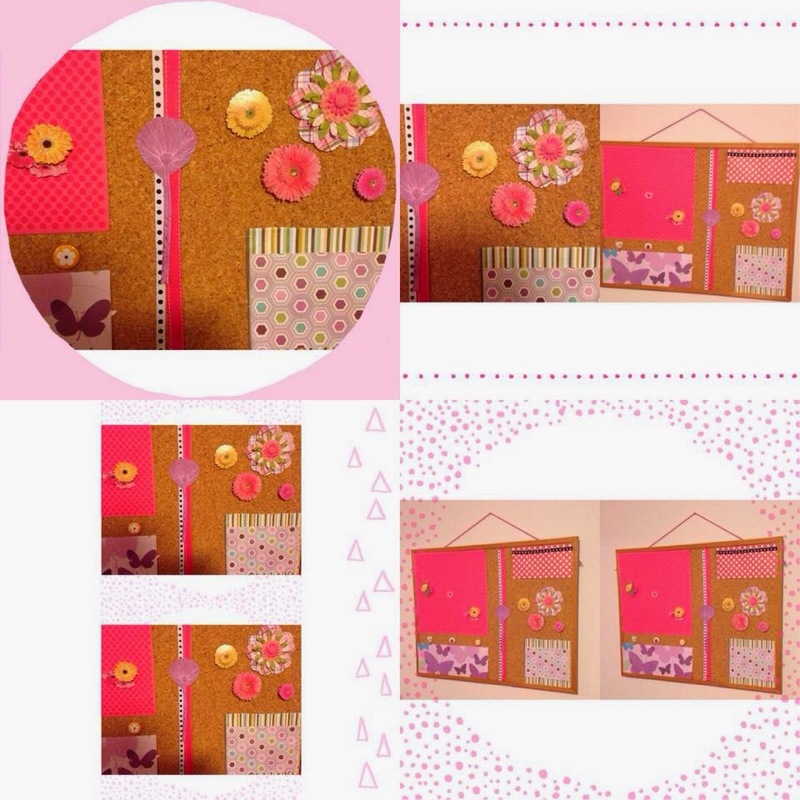 Take your time to think how you want to set your empty board with, you can cut out flowers, hearts or just simply decorate your cardstock/ scrap paper with some stickers, stamps and ribbons. 4. Map out your bulletin board. start placing them and see if you like it that way. 5. Once you're done mapping them out carefully start hot gluing your cardstock, ribbons any other things you made onto the bulletin board. 6. 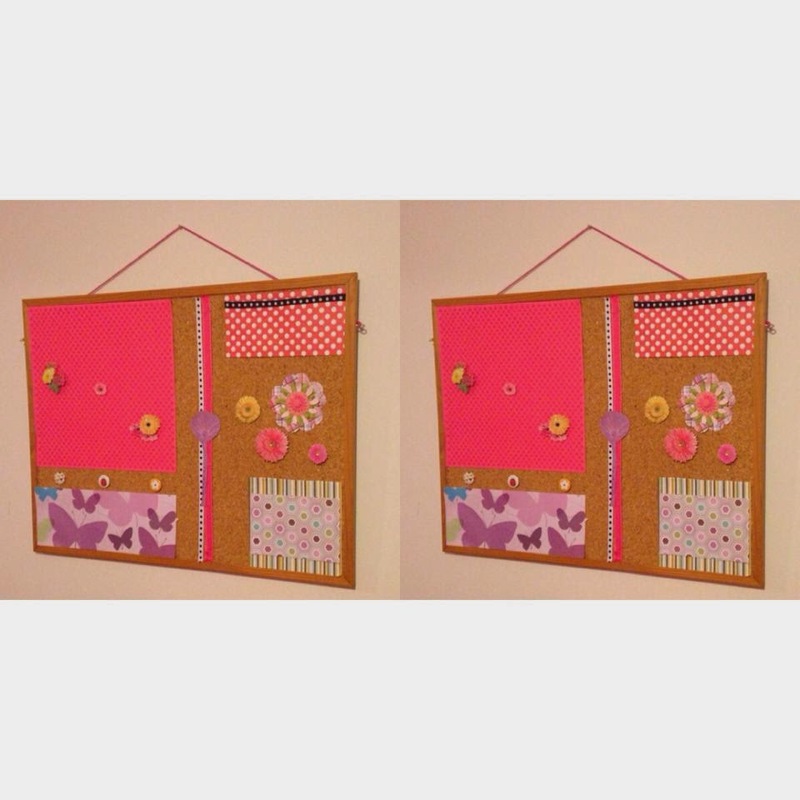 Let it sit for five minutes, and you're ready to hang your bulletin board wherever you like it to be. Lately I have been so obsessed with Gap shirts, they are so comfy and fun to wear. However some of my friends don't know how to style them. Sometimes its hard to rock plain shirts and make it look stylish. Here's how I styled it: I made my look very preppy, with the cardigan over my shirt. I was also feeling very chic thats why I added my headpiece and necklace and that just adds more fun to this old school preppy look.